The job was done very professionally by highly skilled engineers and following our standards. IndiaCADworks is a very pro–active company which helped us in our day-to-day work. The job was done very professionally by highly skilled engineers and following our standards. The high flexibility and the ability to realize the job in a very short delivery time for us, the reason why we work with IndiaCADworks. Architectural design, technical documentation, 2D to 3D presentation drawings, and the team were impressive with efficient and exceptional turnaround time. Indiacadworks has high standard of business ethics and commitment to customer satisfaction. Detailed attention to our enquiry was a result of awarding our project to Indiacadworks. We outsourced many process such as conceptual drawings, shop drawings, and 3D rendering, the result was satisfactory. The management improved our process by providing constructive feedback. We would certainly recommend Indiacadworks to our friends and colleagues. Indiacadworks support and high precision for mechanical engineering projects was very successful. We are very pleased to state that we are happy with the service and the value of their contribution. Indiacadwork helped us to expand our product line beyond. For the past 2 years we have outsourced important engineering works and we’ve very good results especially transcription of civil and structural engineering calculation using MathCAD. Managers and engineers at Indiacadworks were excellent. 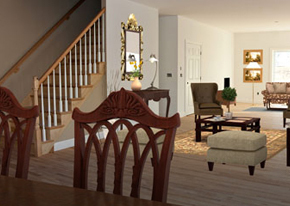 IndiaCADworks was selected after extensive research for full color 3D rendering of our luxury homes in Florida. Courtesy, professionalism, and customer service was good. To ensure our satisfaction, the renderings were revised many times and most importantly we received very positive feedbacks from our clients. Excellent drafting skills, great attention to details, and impressive turnaround by Indiacadworks. We have used Indiacadworks for numerous drafting needs and the project turnaround has always been very impressive with great attention to details. Professional service by Ajit, and we really enjoy working with the team. I endorse to recommend Indiacadworks for all architectural drafting needs. CSC Worldwide and Indiacadworks have been engaged for several years now. As usual the response to any request and eagerness to learn our process was always proactive. As the relationship evolves, values grow for both the companies. Our process and procedure was transitioned quicker than I thought. Indiacadworks has been a great resource to our engineering department. Very professional, very precise, and very attentive to all our request. The CAD team was able to learn our process faster than I ever thought. delivery has been very consistent with excellent adherence to schedule. The urgent requirements are address with top most priority. Cross-continental timing and logistic issues were addressed professionally and working with Indiacadworks was a great experience. Quality of service by Indiacadworks is more than satisfactory. They exceeded our expectations and they are one of the valuable partners to our company. We outsourced our Florida project and I was surprised with the dedication and commitment to our project. The project was delivered on time with high quality and customer satisfaction. I would use their service again and recommend they service other as well. A Noted Member of the American Society of Interior Designers Gets Accurate 3D..
A Leading Canadian Architect Company Productively Streamlines its Architectural..